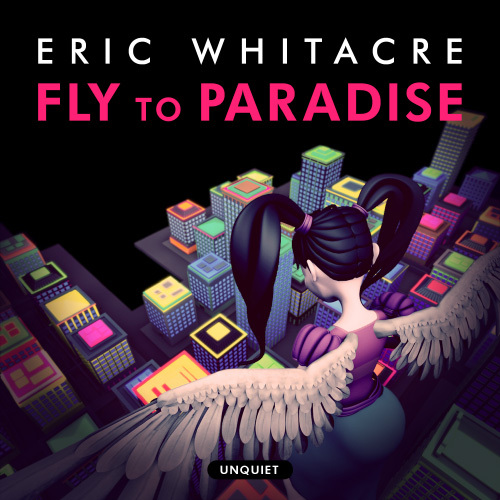 Fly to Paradise, taken from Eric’s musical Paradise Lost, is the feature track of Virtual Choir 4 featuring over 8,000 voices from 101 countries. The single features Grammy® Award winning soloist Hila Plitmann, electronica from acclaimed producer Guy Sigsworth, and professional choir, the Eric Whitacre Singers. For over a decade I have dreamed of working with one producer: Guy Sigsworth. Guy is probably best known as one half of the band Frou Frou (with Imogen Heap), but behind the scenes he is responsible for some of my favorite tracks from Seal, Madonna, Björk and many more. He is a classically trained musician with all the skills of a modern producer. We first worked together last year when he wrote a classical piece for my professional choir, the Eric Whitacre Singers. Through that process my admiration for him only grew, and when it came time to make Fly to Paradise I knew that there was no one else I would rather work with.